The New York School for Performing Arts is the perfect place for a unicorn like me. So far it has been totally AWESOME! Madame Twirler says that 'pigs will fly' before I get the lead part in a show. Man, I would LOVE to see that! After all, New York has a unicorn in town, so why not flying pigs? 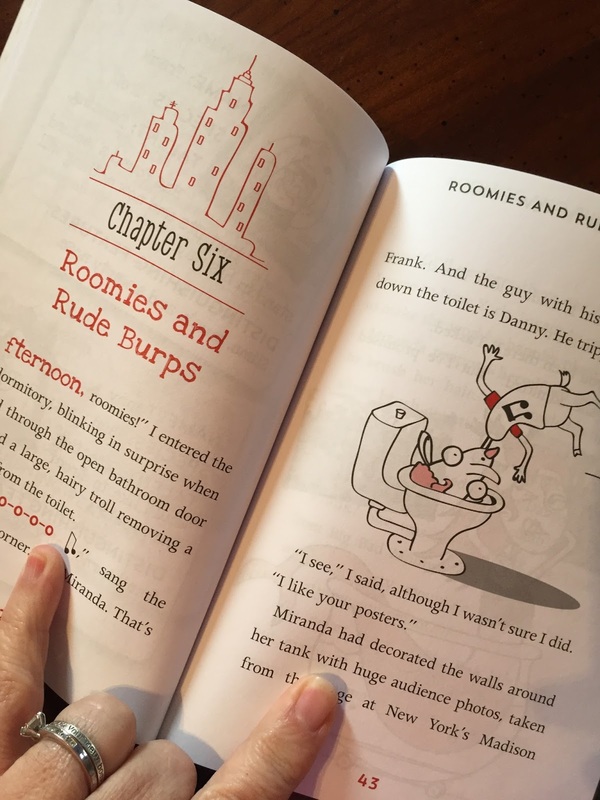 This funny book written by Rachel Hamilton reads fast and has wacky, hilarious illustrations using real photos. Louie is a unicorn who has big dreams of taking a BIG Bite out of the Big Apple! He has enrolled in a performing art school in New York with stars in his eyes and determination like no other. 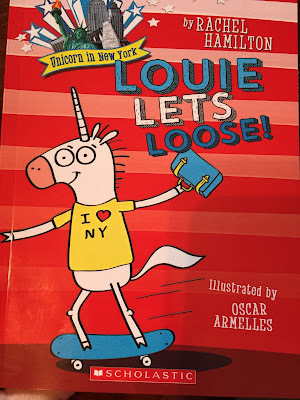 His ride to stardom is no picnic but Louie is never deterred. Along the way he meets some interesting characters like Miranda the Mermaid, Frank the Troll who does a lot of Buuuurping, the Cake Lady who uses his unicorn horn to make the hole in her donuts and many more. 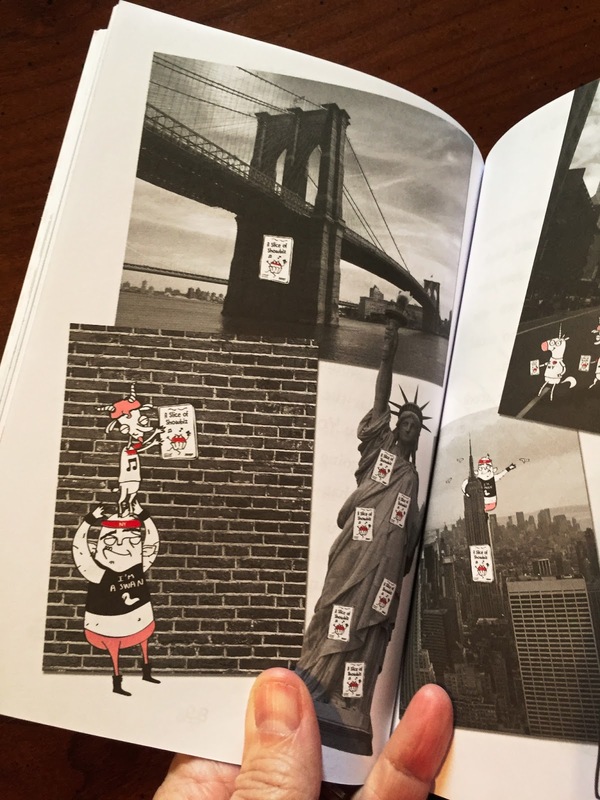 This is a perfect book for ages 7-12. I believe kids will love the fast pace and quick wit of this dynamic author. 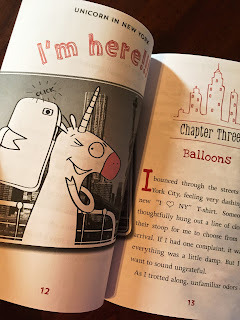 There is enough humor for even those reluctant boy and girl readers out there. Wish there were more books like this. Or you can't wait there is another Louie book you can get right now!